Several years ago I wrote this tip regarding preparing for and what to do if your dog gets lost in the field. It bears repeating as this seems to be a common occurrence, especially with young dogs. Proper obedience training and some common sense will keep you from losing your four legged hunting companion. While hunting in Nebraska this past fall, a good friend lost his young setter for several hours. In addition, he missed out on some of the most incredible pheasant hunting of the weekend. Here is the situation. 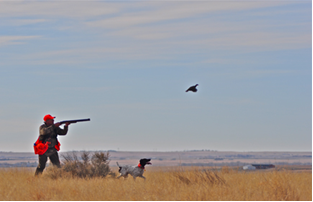 Our group of five hunters and dogs set up to hunt a draw which we knew held plenty of birds. We had not gone 20 yards into the cover when a nice muley buck jumped up from its bed. The deer took off in a flash and, unfortunately, so did my friend’s setter! The anxious “here Telly here” commands seemed to cheer the young dog on. Needless to say, our friend was not only upset with his dog but very worried as they both were in unfamiliar country. What should one do not only to prevent a situation like this but to cope with it if it does happen? Let’s discuss prevention first. Obedience training, especially re-call to the whistle, is paramount. Your dog must come in to the re-call whistle command consistently under all circumstances and situations. This means re-calling the dog in locations other than your yard and regular training fields of which he/she has come quite familiar. Strange areas and having other dogs or people around when practicing the re-call command are great ways of training your dog to come in consistently. 1. Have your name and telephone number(s), including your cell number, engraved on a brass plate which is riveted to your dog’s collar. “Dangle” type tags are easily stripped off by a dog running at high speed in dense and heavy cover. Also, include the phrase "Dog Needs Medication" on the plate. This will help speed up his/her return. 2. Have your dogs e-collar conditioned to remind them that you have given the re-call command. Remember, the dog must be properly trained (conditioned) when using the e-collar. Read the instructions and watch the videos provided by the manufacturer before beginning any e-collar conditioning. In fact, I recommend that you read the instructions and watch the videos at least twice before undertaking any e-collar conditioning. 3. Have your dog micro chipped. Most vets or shelters have a scanning device. 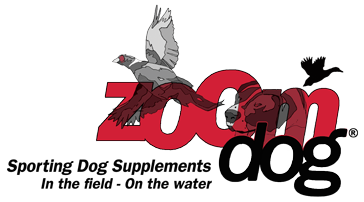 This is a very low cost insurance policy that may ensure your dog’s safe return. 4. Lastly, you can invest in a GPS unit designed explicitly for locating dogs. Ah, the benefits of the high tech age! However, what if you are confronted with a situation resembling what my friend encountered? Take off your jacket, or shirt if the day is cold, and place it on the ground in the approximate location from which the dog took off. Remember, your dog has a great nose and can scent its way back from where it started. Your item of clothing will ensure your dog’s familiarity with the location and it just may remain there until your return. Also, you may just return to your vehicle and find your dog waiting there for you. That has happened in many cases when dog’s lose their hunters! The main thing is to “keep your cool” and not drive off aimlessly looking for your dog. If you do leave the location, try and remember the direction in which your dog ran off. Check back frequently to see if your dog has returned. My friend found his dog, after a 3 hour search, by returning to the spot where the dog ran off. There was Telly, asleep under a tree, waiting for his master’s return. He wasn’t concerned at all! Stop by again next month for another training tip.